When you think of Werever Outdoor Cabinets you may only think of Outdoor Kitchens. 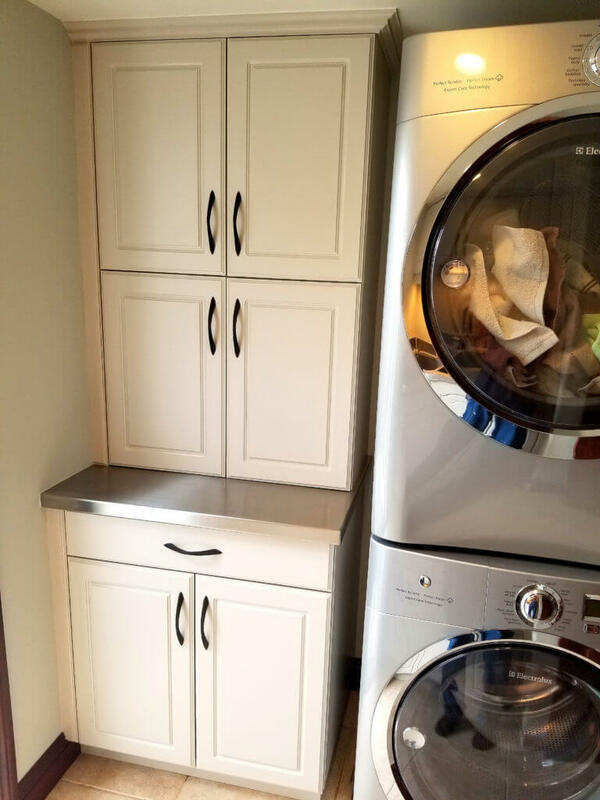 However, our Outdoor Cabinets are an excellent choice for your Laundry Room. Werever Cabinets are constructed from HDPE (high-density polyethylene). The HDPE is completely non-porous, waterproof and chemical resistant. 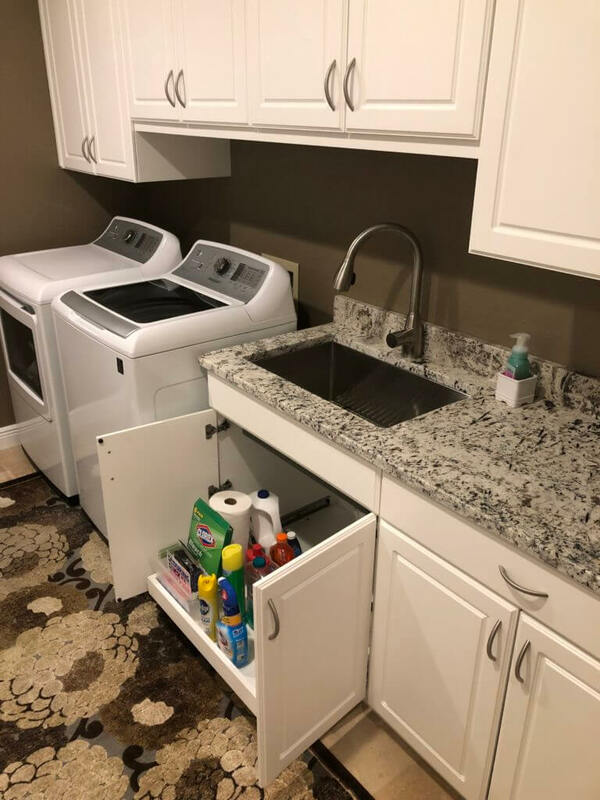 This makes Werever Cabinets the perfect choice for a high traffic, wet environment like a Laundry Room. 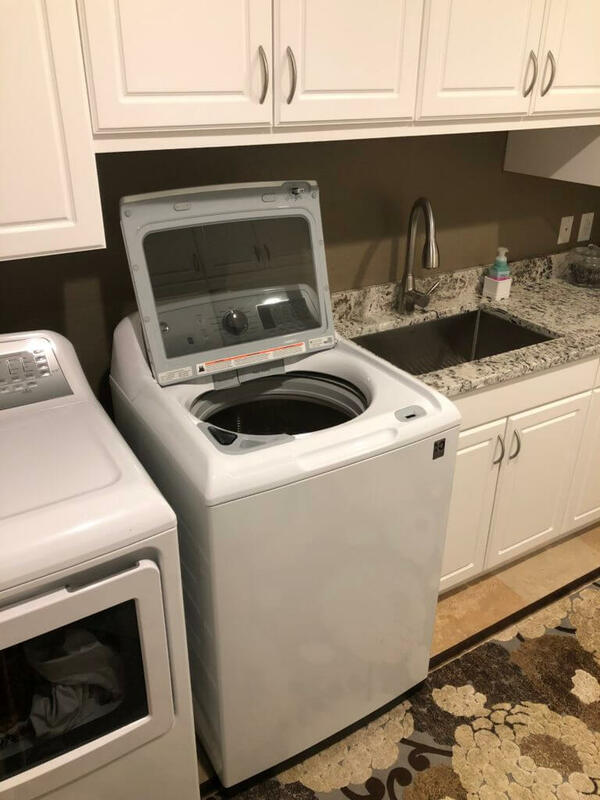 Take a look at this customer’s project as inspiration for your new Laundry Room. 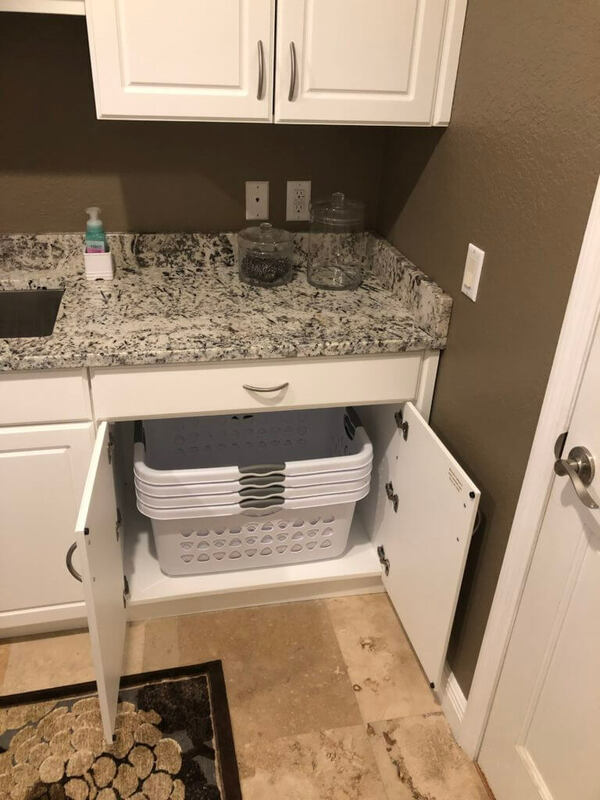 Laundry rooms are wet rooms, and outdoor cabinets are meant to get wet. 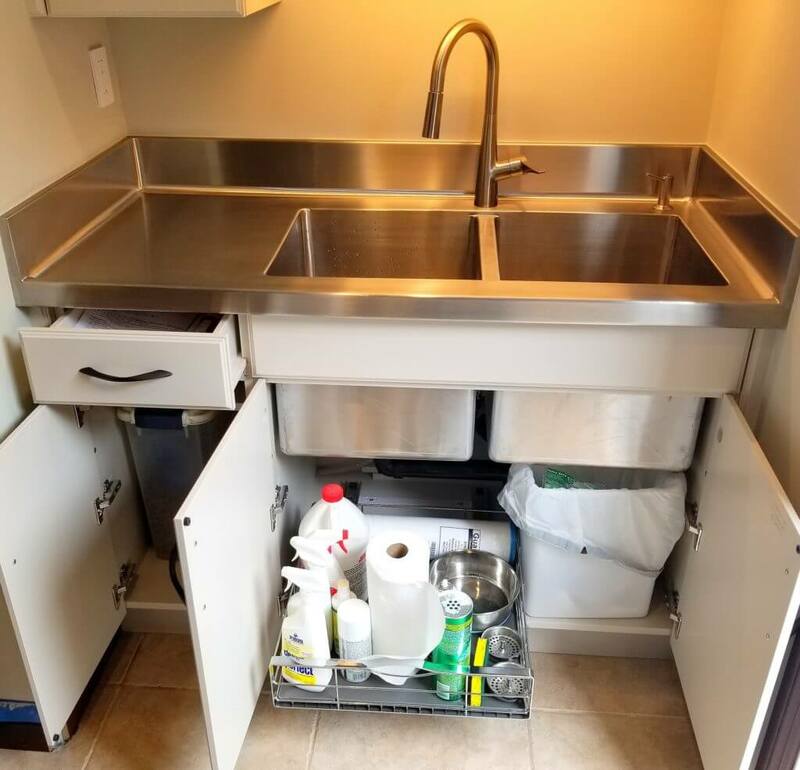 This makes Werever HDPE Cabinets perfect for laundry sinks and storage. Never worry again about splashing water or soap on the cabinets in your laundry room. 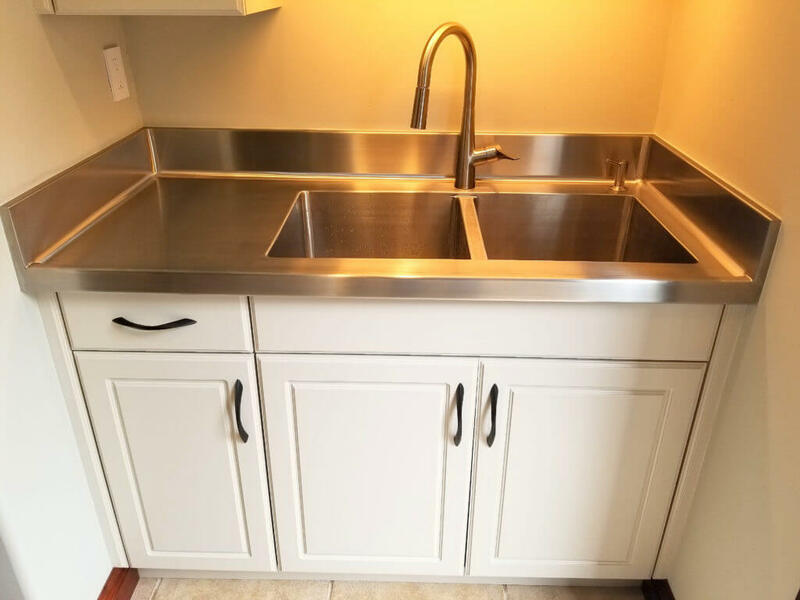 Feel free to hang wet clothes that may drip on cabinets below. Store your mop buckets and other cleaning supplies with confidence. Werever Outdoor Cabinets are designed to hold up to these conditions. Be sure the investment you are making in your Laundry Room is one that is built to last a lifetime. As a result, you will not need to worry about what may be spilled or splashed around the next time you and your family are doing laundry. You can confidently store your laundry and cleaning products in Werever Outdoor Cabinets. The HDPE Cabinets are chemical resistant and will stand up to virtually any household cleaner. In fact, we recommend using the same cleaners you probably store in your laundry and utility room to clean your Werever Cabinets. Wash them down and wipe up with a soft cloth. Feel free to use a household detergent to clean particularly dirty cabinets. Werever Cabinets are very resistant. For instance, have you ever spilled or splashed laundry detergent or fabric softener in your laundry room? Not to worry, this will not harm the cabinets. Just clean up the spill with water and a soft cloth. Do you use bleach to wash your whites? Great news, our cabinets are also bleach-resistant! A laundry room is often the space you store cleaning products, household items, paper products, and even dry pantry goods. Werever Outdoor Cabinets offers a full range of storage options. Choose from doors, drawers and pull-out trays, and even pull-out trash features. 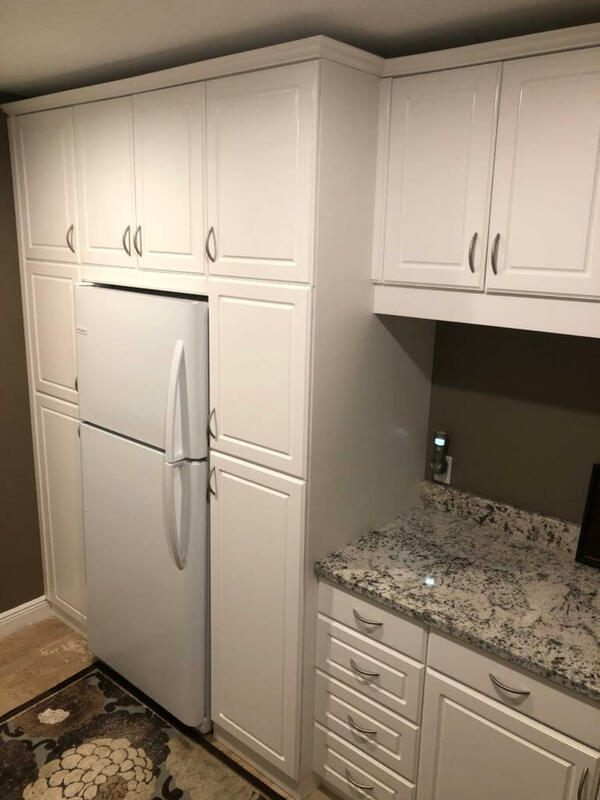 Wall and Tall Pantry Cabinets are also available for added storage space and functionality. Additionally, open shelf cabinets are available for your existing bins and baskets. Laundry Rooms often do double and triple duty. Yours may be used as a Pantry or even a Mud Room. With this in mind, we will help you develop a cabinetry plan that meets all of your storage and usage requirements. Gather your ideas for your new laundry room. Next, Contact Werever and inquire about our complimentary design service. Then, we will assist you in planning the right combination of storage to fit your space and the right solutions to meet your storage needs.